Rare and beautiful pair of antique imperial Chinese lacquer storage trunks. Made of wood and lacquered with highly detailed gold patterns of flowers and dragons on a black lacquer ground. The top of each trunk is lacquered with scenes of pavilions and figures among pine tress. Areas of woven bamboo work are framed with red lacquered carved wood. 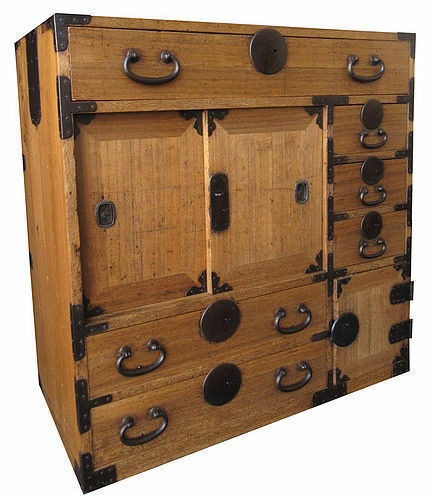 Each trunk is attached to a built on elegant lacquered wood stand. 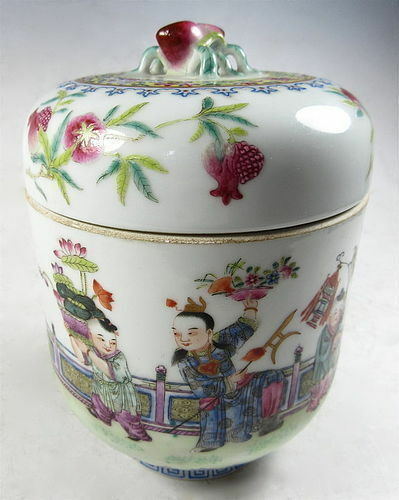 Provenance: from the imperial household of Emperor Puyi. 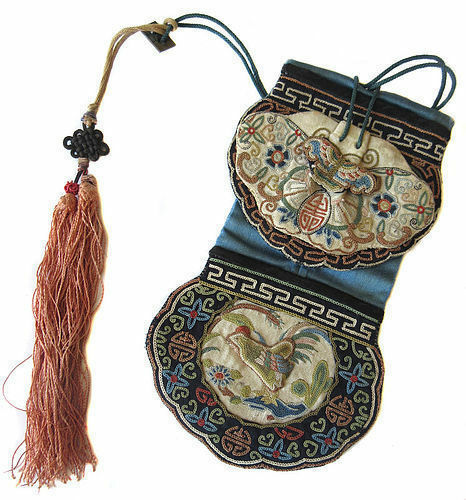 Antique Chinese tasseled blue silk pouch, with embroidered flowers, a butterfly, and a rooster. 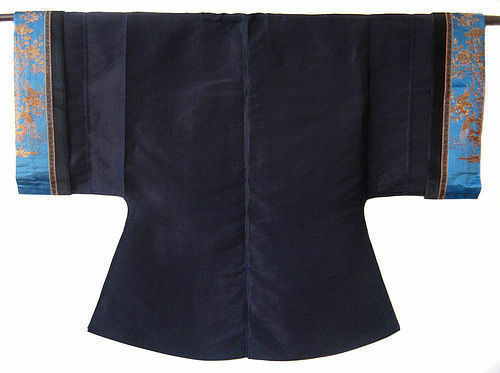 The character below the embroidery butterfly is "Shou", for longevity while the butterfly is a symbol for love. A rooster symbolizes good luck and fortitude. Antique Chinese navy blue silk robe, with powder blue silk rolled sleeves, decorated by complex gold thread designs of flowers with a pair of phoenixes and gold buttons. 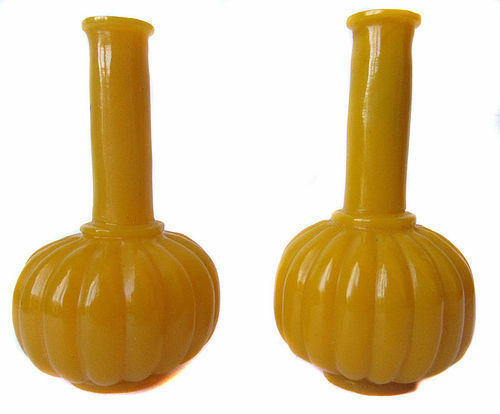 Adorable small pair of egg yolk colored peking glasses with stands included. 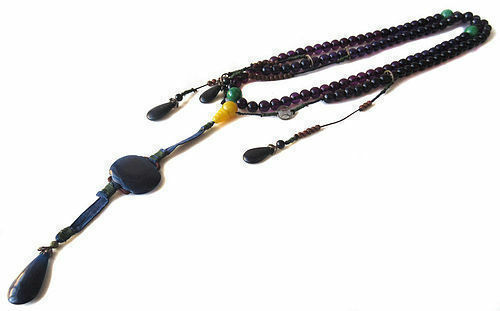 These small pieces are charming collectables. Both under four inches tall with stands, have a pumpkin shaped base, thin long necks with a flared mouth. Each glass vase is unique, with slightly different sized bases. Provenance Phillip Cadero Estate, Circa late 18th-early 19th century. 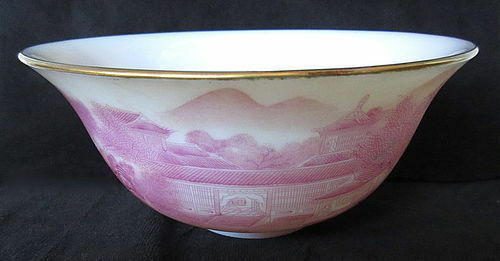 Vintage chinese peking glass bowl with a gold leaf rim. The outside is decorated with beautiful, intricate scenery depicting an oceanside temple amidst large rock formations and trees, while tiny sail boats and birds float off in the distance. The inside of the bowl has a similar depiction of a small house by the ocean. Signed and stamped on its side, and marked on the bottom. 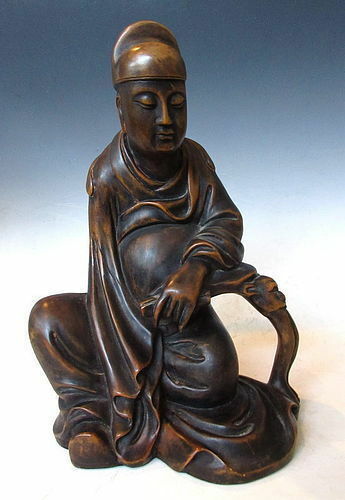 Carving of a Chinese scholar made from dark hardwood with lighter orange highlighted areas, his eyes closed as if in deep meditation. He sits with one leg curled underneath himself, his left arm rested upon a carved stool or small table, with the face of a beast. He holds a scroll in his hand and creates a Buddhist mudra gesture with the same hand. 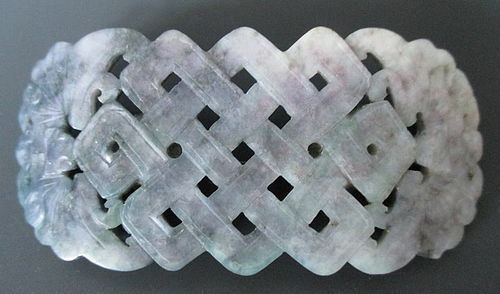 Very fine Chinese antique belt hook carved in the shape of a knot with a butterfly on either end, made of beautiful mottled jade ranging from white to grey to bright blue/green, a silver fitting on the back was added later to convert this clothing hook to a pin or broach.